Inna lillahi wa inna ilayhi rajioon. We are from God, and to God we return. 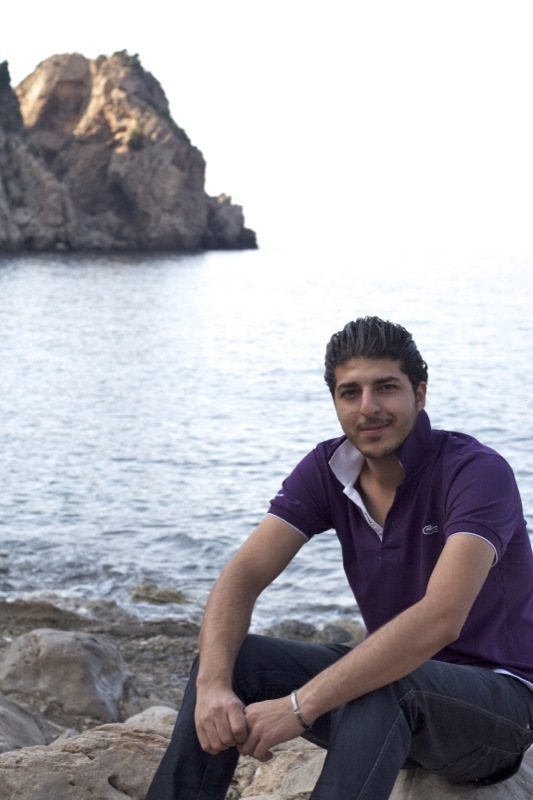 Our beloved cousin, Ali, was killed in Damascus last week. 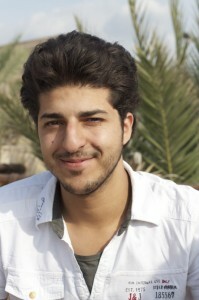 Ali went missing on Thursday night, when he went to spend time with some friends and did not return. Yesterday, our family found out that he had been killed. He was buried today in the family graveyard. Ali was the youngest of seven children. He was one of the kindest and happiest people I have ever known. Ali’s good manners, respect, and love were pervasive, and he spread them to his family and friends. Ali was always ready with a smile, a joke, and a place in his big heart for everyone he met. 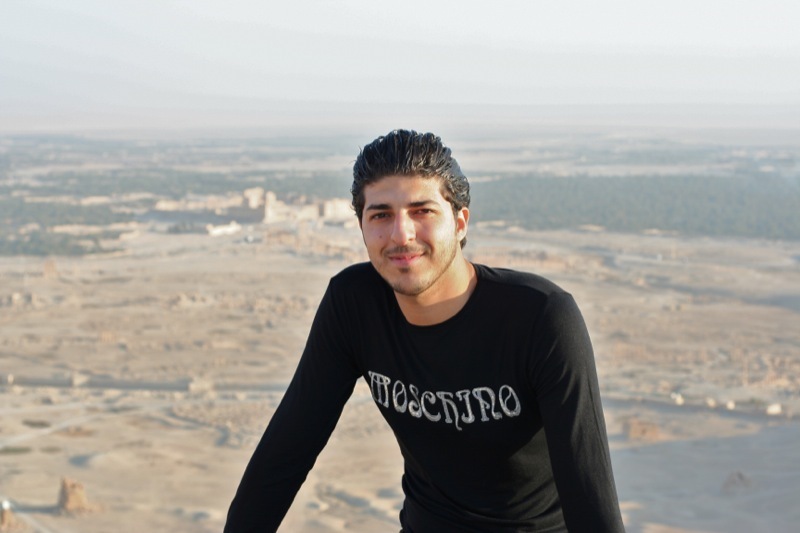 He always made me feel so welcome when I visited Syria, even though I knew very little Arabic. Every memory I have of him makes me smile: Ali singing to his nephew, Ali driving like a maniac, Ali singing along to “What’s My Name?,” Ali telling us as we left for home to “Tell Molly I said salaam.” Allah yarhamhu. 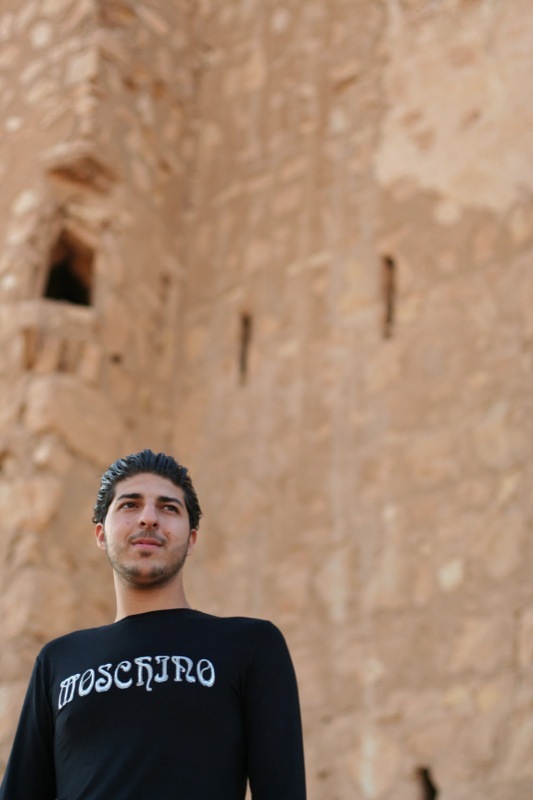 Last time we went to Syria, Ali drove us everywhere around the beautiful country, taking time away from his studies to devote to our enjoyment. He was studying to be a lawyer. Ali loved his family, and we love him. He will continue to live in our hearts and memories. These make me smile. We had just spent a lovely weekend at the sea. We headed out so early that Ali didn’t have time for his signature hair gel. After some badgering, he let me take these. Afterwards, he applied half a tub of gel, rubbing palmfuls of goop into his hair, laughing heartily with us as we teased him about his style. May Allah give him the joy of Jannat al-Firdaus. We pray for Ali and all of our brothers and sisters in Syria, those who are still living under tyranny and those who have escaped as displaced refugees. For those who have been killed, may Allah magnify their reward, forgive their sins, and accept them as martyrs in the highest level in Paradise. May Allah give those who are suffering in Syria and living under tyranny all over the world peace and ease during difficult times. My prayers are with your family. I’m so very sorry to read about your loss. I will pray for the family in this painful time. I wish that the world was not like this. Inna lillaahi wa inna ilayhi raji’uun! May place light in his grave and give him firdaws al-a’la and give the whole family sabr! SubhaanaAllaah, this post made me teary eyed. May Allaah (‘azza wa jall) give the people of syria and the rest of the muslims around the world peace and happiness and give them patience as they struggle and help us to help them! Aameen! Our condolences – inna lillahi wa inna ilayhi rajioon. Hoping and praying that this struggle in Syria ends soon. Our hearts go out to your families and we pray for your patience and the forgiveness of your lost one. We had the pleasure of meeting him and his esteemed parents in 2007.Although it was a short trip still everyone lives in our hearts.Ali was a joyful young man.May Allah swt accept his shahada and give him the most beautiful place in jannah tul firdous.Ameen ya Arhamur Rahemeen.